Use it, Don’t Lose It !!! November 12, 2013 — Dr. Ushma Patel D.M.D. Now is the time to plan for the completion of your dental treatment before the end of the year. All insurance plans have a yearly maximum. If you do not use this maximum amount, the remainder is lost. If you have already met your deductible and you have treatment to be completed or to be started, take advantage of your benefits this year. If necessary, we can use the maximum allowed this year, and complete the work next year with the next year’s allowance. Good planning will allow you to take advantage of the full benefit of your policy. Please do not wait until the last few weeks of the year, when our congested schedule will make it difficult to appoint a convenient time for you. Our goal is to provide you with quality dental services, so let us help you maximize your dental insurance coverage in the process. If you have questions about what insurance you have remaining for the year or what treatment has been recommended, please contact our office team. They will be happy to help you with your insurance and treatment questions. August 14, 2011 — Dr. Ushma Patel D.M.D. 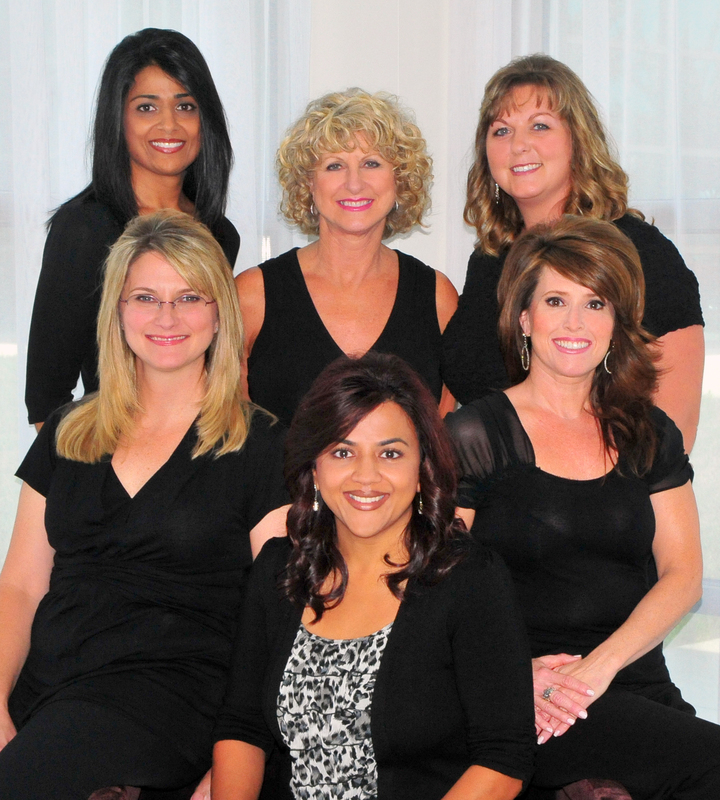 Urvashi, Joy, Susan, Michelle, Tawny and Dr. Ushma Patel with their beautiful smiles. Team photo taken at the office in the front lobby against the window treatments.